If you're addicted to using emoji, there's a range of new products from EmojiWorks that are sure to improve your quality of life. The company, a start-up from Austin, has developed a set of physical keyboards that allow you to input emojis into any text field without the use of separate software or windows. 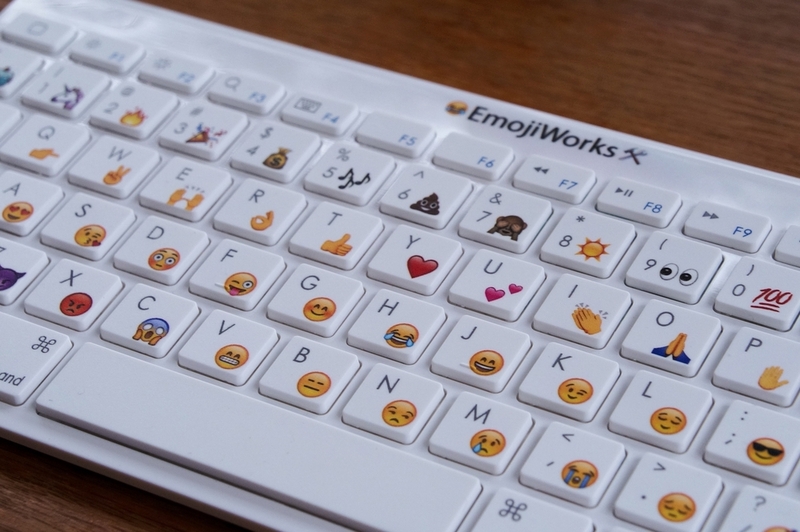 The keyboard hardware that EmojiWorks use is nothing special. All three of their products are designed to look like Apple's Magic Keyboard, featuring short-travel chiclet keys with rubber dome switches. For those using a full-sized desktop keyboard, especially if it's mechanical, grabbing the emoji keyboard probably won't improve your general typing experience. But where it will improve is the easy of using emojis, as the Emoji Keyboard includes up to three emoji per key that are activated by holding down the emoji button, which replaces the left option/alt button on the Magic Keyboard design. A collection of the most popular emoji are included on the keyboard, including crucial emoji like the middle finger, taco, and poo. The Emoji Keyboard is available in three variants: a basic keyboard with 47 emoji (one per key), which will cost $79.95; a Plus variant for $89.95 with 94 emoji (two per key); and a Pro version with 120 emoji (up to three per key) for $99.95. The Pro and Plus versions also include buttons that allow you to modify the skin tone of any person-related emoji. All of the keyboards are available to pre-order now with an unspecified shipping date. They work across Mac OS X El Capitan, iOS 9, and Windows 10 via Bluetooth, and even come with included AAA batteries.